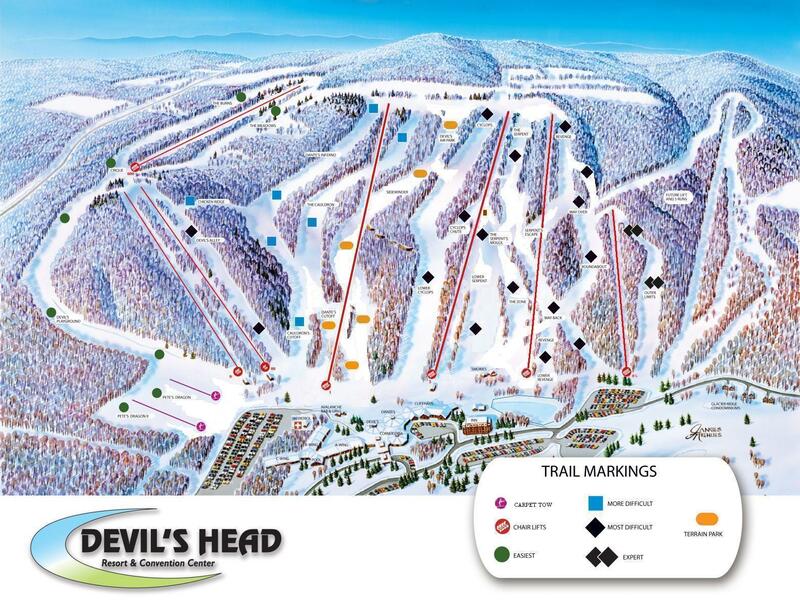 View the trails and lifts at Devils Head with our interactive trail map of the ski resort. Plan out your day before heading to Devils Head or navigate the mountain while you're at the resort with the latest Devils Head trail maps. 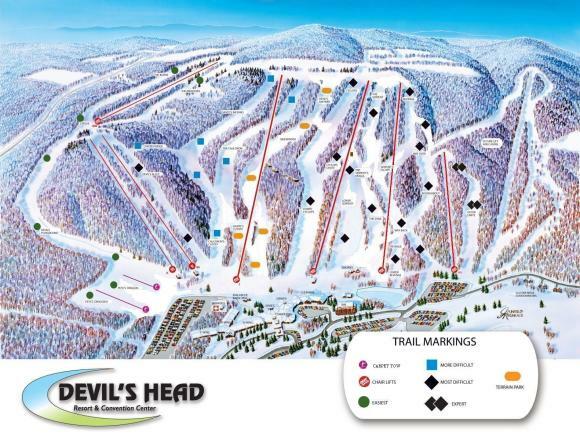 Select resorts also feature an additional trail map from partner, FatMap that provides a 3D view of the ski resort, including slope steepness and aspect, along with information on what it's like to ski each of the trails at Devils Head. Great day of skiing. Two inches of fresh snow helped freshen up the hill. Some icy patches by 3 o’clock. Skied Saturday and Sunday 1/15. temps in the 20s and only a few icy patches. Midwest skiing conditions. kids loved it. I realized I skied here 24 years ago and not much has been updated but still functional. 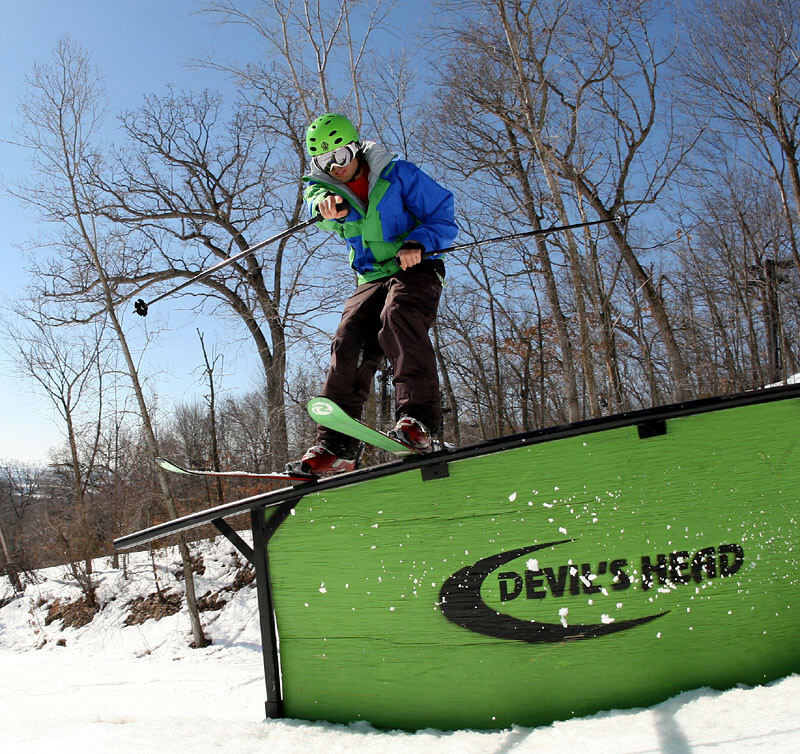 Get Snow Reports, Powder Alerts & Powder Forecasts from Devils Head straight to your inbox!